Mondial De La Biere is an event that has been taking place in Montreal for many years and its festivities are ever growing. It has become a staple for the beer community here in Montreal to attend this event every summer. Mondial de la Biere 2016 took place earlier this month and it is the time of the year where many beer lovers all rush over to Palais de congress for 5 days of beer drinking, tastings and special events. Not only is Palais de congress filled with beer lovers, beer geeks, normal folk, normal drinkers and some people just looking to kick back, but the entire city participates during this week, usually the second week of June, with some special off Mondial events. Some of the most notable off Mondial events included Vice et Versa and their illustrious Trou Du Diable tap take over, Le Saint Bock with their battle of Mikkeller vs Evil Twin, Dieu Du Ciel’s Funky and many more. Goes to show that people in Quebec really love their beer! And I love that the city can be filled with so many great beer events, my wallet doesn’t seem to agree with me though. But such is the life of a craft beer geek. My first experience with Mondial was last summer, and I had the chance to hang with a friend who wasn’t much of a craft beer drinker. He pretty much drank anything without much care, but was a very open individual and was excited when I asked him if he wanted to come along with me to this event. I did warn him that I would likely be geeking out by taking photos and notes and all that comes with the geek territory, but he only took that as an opportunity to poke fun of me every beer I tried. And so Mondial became a host to my tasting playground, and I had a blast with the ability to try so many Quebec beers in one place. Mondial de La Biere to me is pretty much like a conference affair. 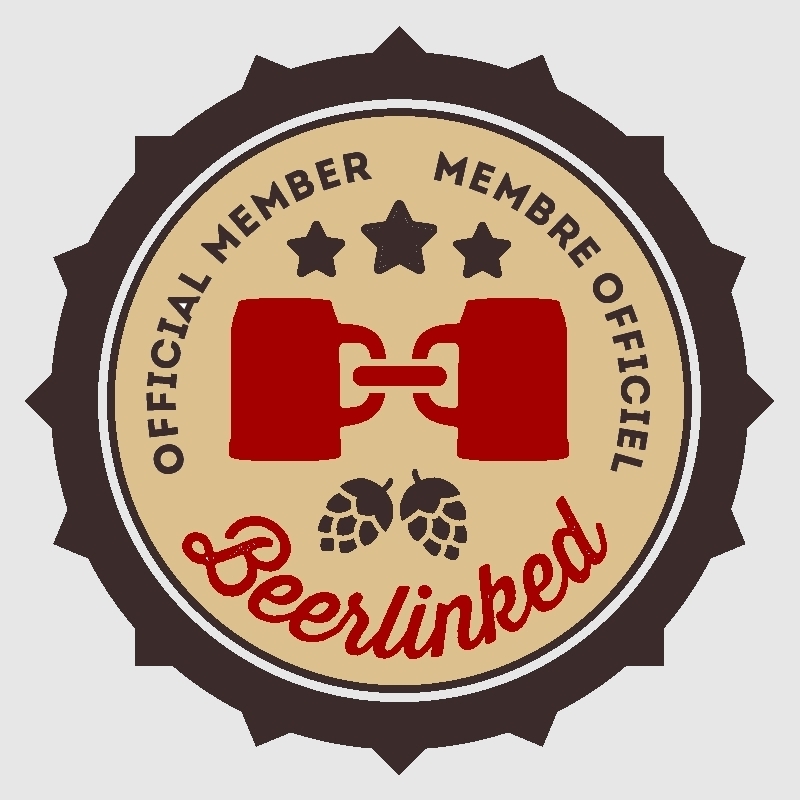 Similar to other industries such as textil, tech and many others, so does beer! These kinds of events are a great way for breweries to showcase their beers to the public, to get notoriety, to get recognition, as well as to expand their clients. All the while the clients get to taste some great products whilst enjoying a bit of laughs and singing Drunken Lullabies. Unfortunately I was unable to attend some of the special off Mondial events due to work commitments, but I was able to attend the festival this year on Wednesday June 6th. And it was indeed a great time. Fellow beer blogger and friend Beer Crank visited Montreal during this illustrious event, and we had a great time catching up and geeking out over our beers. We even took a trip to the newly opened Pit Caribou Pub, and I’m exited to be heading back there again someday soon, I hope! The festival itself was pretty well organized, there never seems to be much chaos or any issues at the event. The number of breweries present was impressive, and the various styles of beers was noteable. Are there things that I personally would like to see at the event? Most definitely. They could use some expansion as far representation of worldwide beers goes. I would love to see more beers from different corners of the world, rather than too many breweries from one country. I’m sure there are reasons why the festival is set up that way, I’m no expert on festival logistics, but would be great to maybe see that happen one day. I was disappointed that many breweries from outside of Quebec had IPAs that tasted old and stale. But of course that’s no fault of Mondials, that’s all due to the amazing procedures of the SAQ. As a Californian, I would love to see a larger selection of American breweries, but I know that the procedures at SAQ will lay waste to the IPAs by letting them sit in the cellar for 3 months while they do their due process. So just a word for Mondial, when and if SAQ ever changes their procedures, I would love to see more American breweries being represented! And I’m sure when SAQ changes their policies Mondial will already have many ideas in mind. Some of my top beers that I tasted at the event include Les Trois Mousquetaires new IPA, which was absolutely stunning and left me dumbfounded. Another interesting beer also from Les Trois Mousquetaires was Le Meilleur Des Deux Mondes , an Assamblage of the Double IPA and their world famous Porter Baltique. It was a risky mix, but one that LTM executed quiet masterfully. Another amazingly surprising beer was Trou Du Diable Apocalypso. This beer came highly recommend by a fellow blogger and new friend Noah Forrest of Beerism. He knows the style of beer I really like and he told me this would rock my world, and so Noah, I am telling you for the world to read, it really did rock my f*cking world. It was just like a 3floyds beer I had in Chicago called Gumball Head. Trou Du Diable defines it as a White IPA, but I find it more of a hoppy Wheat Ale. Of course Gumball Head was out of this universe! But I’d honestly say that Apocalypso is the great Quebec alternative. I have to give another shout to yet another fellow blogger and college on beerlinked, David Atman aka half of La Decapsule. I had a taste of the Special brew King Cogne a collab with Decapsule and Kruhneh and it really did not disappoint! It was very enjoyable, I’ve been a fan of the the regular King Cogne for some time and the special edition was the amazing pale ale hoppyness with a great complexity that I have never really experienced from a Pale Ale. You can read more about this en Français Here. Last but not least Dieu Du Ciel’s Petit Detour, all I gotta say to that is take my money! Another notable mention was Dunham’s Saison Rustique with Bretts, more on that soon. So if you love beer, whether you’re an extreme geek like me or just a causal beer drinker, Mondial is a must go to event which occurs every year in June. Keep your ears and eyes open for next year, its sure to be a gas! You can read more extensive thoughts about some of these beers on future posts, Until next year Mondial! Previous Mondial de la Biere 2016 beckons..